Frank Fontana has loyal clients and an impeccable reputation as a real estate advocate, partner and confidant. 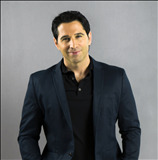 He started his real estate career in a unique fashion as a home improvement television star on several hit shows for the HGTV network, design expert to NBC’s TODAY show and locally on Chicago’s very own WGN Radio. Although Frank’s expertise is design, he is attentive to both the numbers and nuances that make for a “rock star” real estate experience. Because of his self-contained business model, Frank maps the journey for his clients giving them a clear picture of the process from beginning to end. Let Frank and his team at Frank Fontana Homes Real Estate and Design Group help you find value in your real estate from the selection process to purchase to renovation know how, to preparing your home for sale using star power marketing to yield the highest return. Frank, his wife and their children live in the area, and have the knowledge and perspective of locals. You now have access to gain national, regional and local exposure with Frank’s multi-media marketing channels, professional design and cutting edge promotional ideas. Just contact Frank Fontana today at 312-307-0552 or by emailing frank@frankfontana.net.